This format is dynamic and easy to use, which makes it an attractive and interesting tool for improving attention and learning. SCORM, which stands for “Sharable Content Object Reference Model”, is a collection of standards and specifications for web-based electronic educational technology, also known as e-learning. 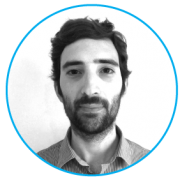 ec-europe creates medical content that can be played in any pharmaceutical corporate LMS system. 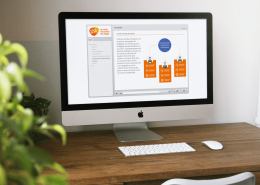 We transform or create e-learning modules rich in medical illustrations and animations to get student attention. ec-europe edits the material provided by the pharmaceutical company to lend it a homogenous design adapted to the digital format required. The content is structured in accordance with the guidelines provided by the pharmaceutical company. 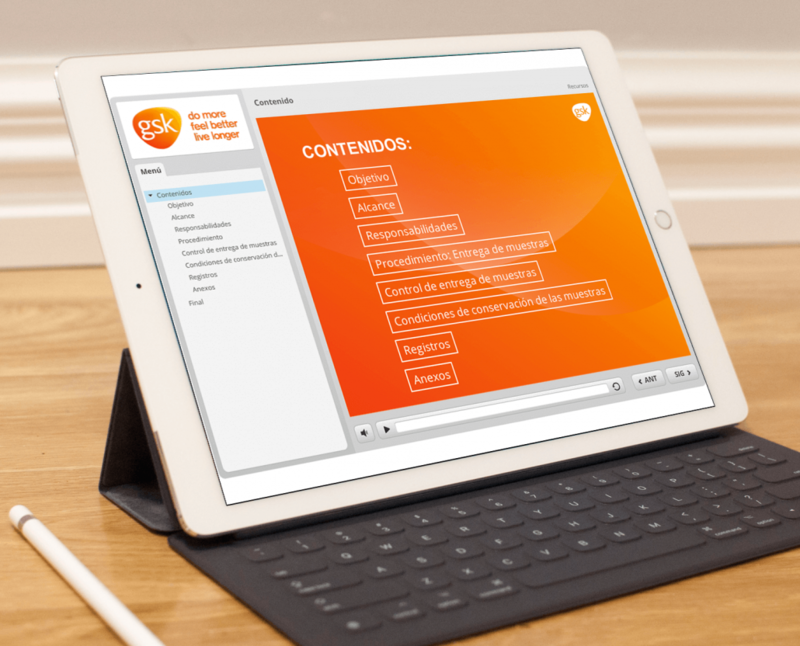 The various modules and chapters can be accessed easily from the left sidebar of the screen and a temporary line can be visualised at the bottom of the screen. It can be accessed from all kinds of devices (computers: PC/Mac, telephones and tablets: iOS, Android and Windows) and web browsers (Internet Explorer, Chrome, Firefox and Safari). 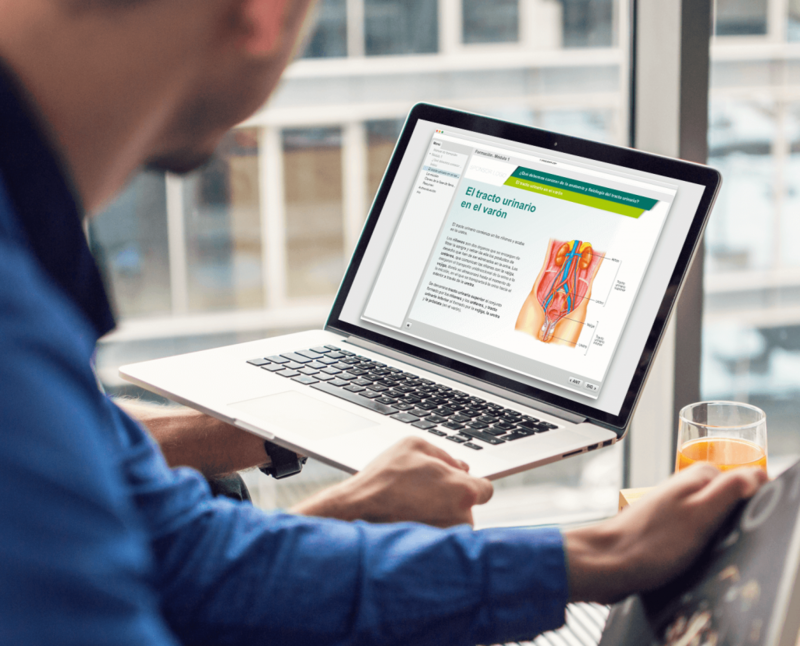 The content comes alive with high-quality illustrations, animations and videos taken from ec-europe’s extensive library of images covering most medical specialties and pathologies. All illustrations, graphics and tables can be animated. 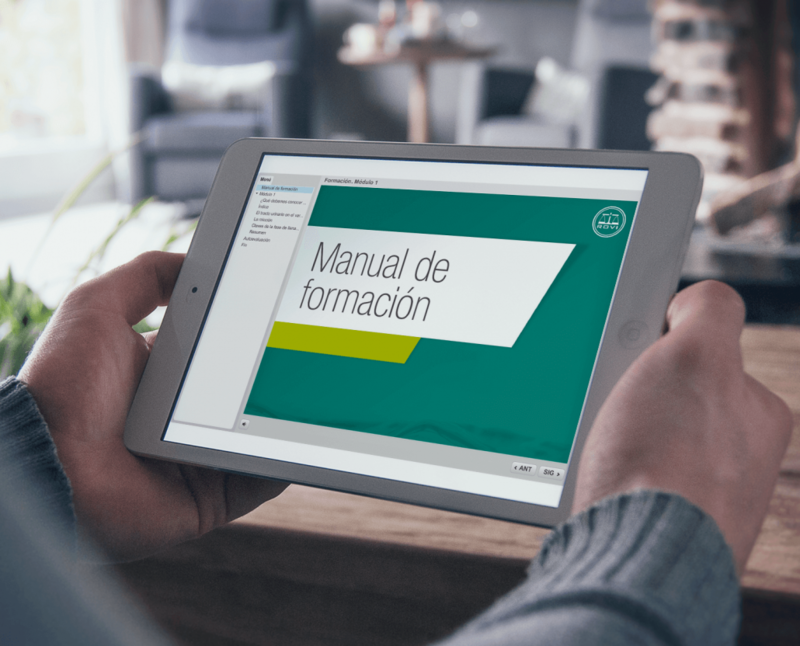 The manuals can also include videos, provided either by the pharmaceutical company or by ec-europe, showing the mechanism of action of the sponsoring drug, for example. SCORM2 allows to share content between learners thus enriching the content with external material provided by the same users and making the study even more interactive. 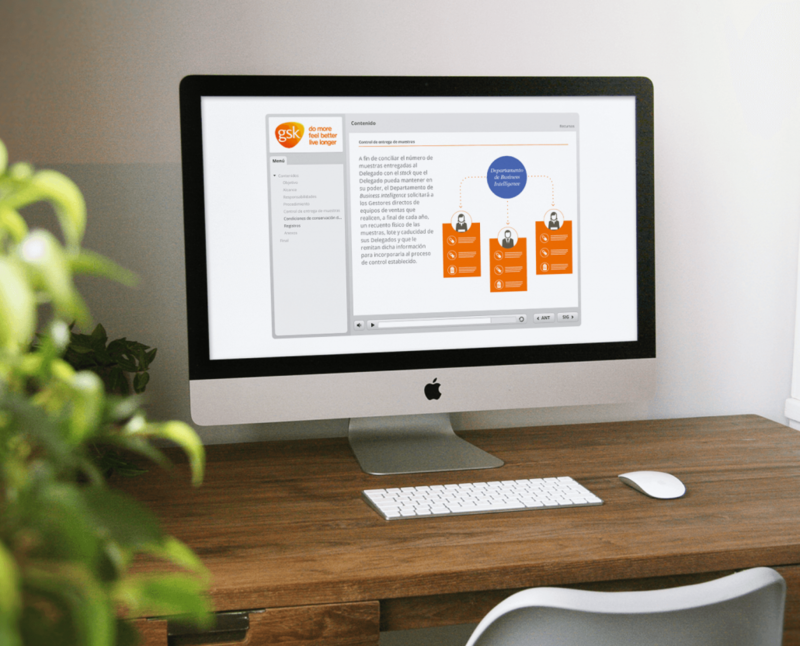 The manuals can contain self-assessment questionnaires that allow representatives to test their understanding of the concepts included in the manual. The questionnaire can also be supplemented by interactive exercises. Sequencing is a set of rules that specifies the order in which a learner may experience content. These rules restraint the learner to follow a fixed set of paths through the training material and assure that, before moving on the next subject, the student has learned enough by passing the questionnaires. The pharmaceutical company provide these control points and ec-europe will adapt the training manual to those rules. The manual can be customised with the colours of the company or the sponsoring drug. It can also have logos on the front cover. 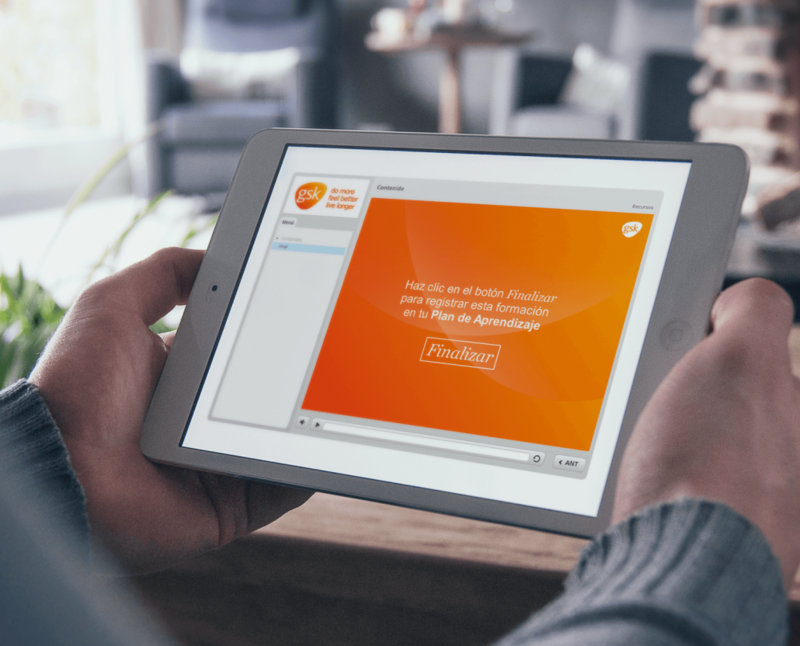 ec-europe delivers the compressed package to the pharmaceutical company so they can upload it to their e-learning platform. 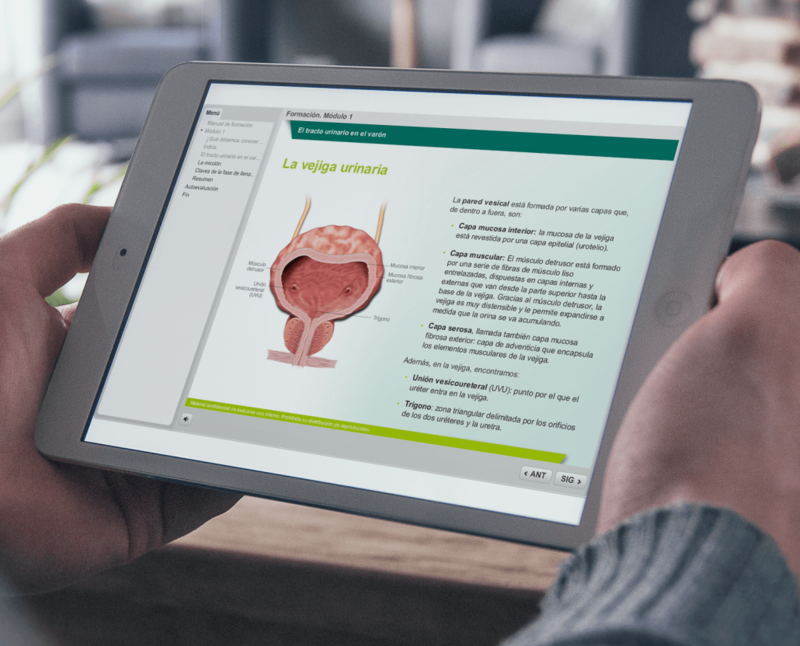 DESCRIPTION: Training manual of a drug for Benign Prostate Hyperplasia (BPH), adapted from iBook to SCORM2 format. The branding guidelines of the drug were used in the layout. 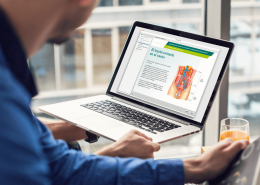 This e-learning includes ec-europe medical illustrations, to make the understanding of the content easier and more enjoyable. It also contains quizzes at the end of each section about the contents that the user/student has been previously reading. 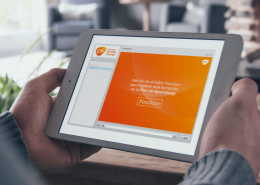 DESCRIPTION: e-learning for GSK to instruct the salesreps about the rules to follow during their visits to doctors. It contains very simple illustrations made of pictograms that enhance understanding and make the contents more attractive. All the animations in this e-learning were developed by ec-europe.